Cyber Security is on everybody’s minds these days. You can’t log in to your favorite web-based news site, it seems, without seeing a warning about ransomware, spear phishing, social engineering attacks or CEO fraud. Attackers have all the time in the world to create very targeted attacks, yet employees have seconds to decide if they will open an email, click on an attachment or even worse, install an “upgrade” supposedly sent by their IT department or software vendor. 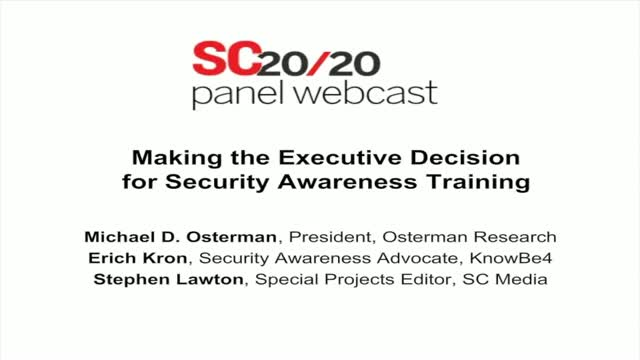 Today’s 20/20 panel discussion webcast will focus what you can do to train not only your users, but also your management team about these threats and how they can defend against them.